In English speaking countries, the day is celebrated as Columbus Day or Native American Day. In Spanish speaking countries and communities, is known as Día de la Raza, the Day of the Race. Día de la Raza is the celebration of the Hispanic heritage of Latin America and brings into it all the ethnic and cultural influences making it distinctive. It is celebrated on October 12 in Argentina, Chile, Costa Rica, Ecuador, Honduras, Mexico, Uruguay and Venezuela. Cristóbal Colón, born Cristoforo Colombo, following the newly accepted theory that the world was round and not flat, sailed west from Spain to find a new route to China or the East Indies. He wanted also to prove his calculations of the earth's circumference. He was off on his calculations and he didn't find a new spice route. 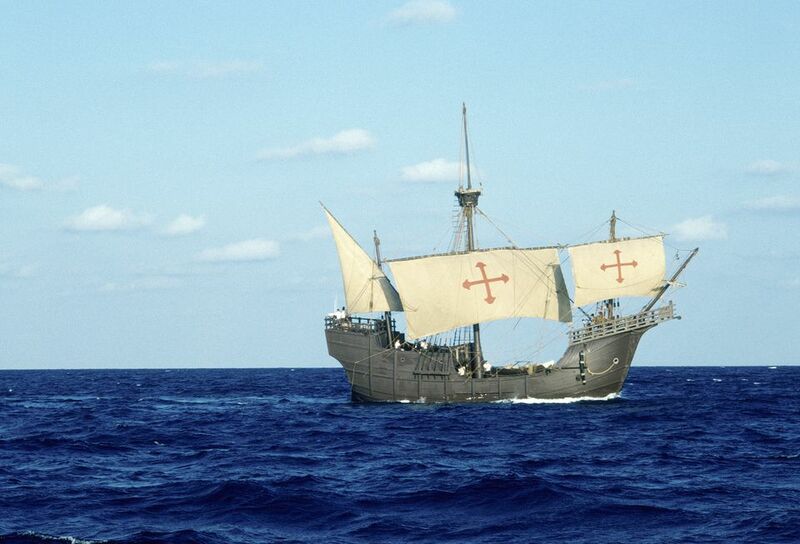 Instead, on October 12, 1492, he and his small fleet of three ships, the Niña, the Pinta and the Santa Maria, landed on one of the islands now known as the Bahamas. The exact island is a matter of debate and conjecture, but from there, he went on to Cuba and Hispaniola, now the Dominican Republic and Haiti, and went back to Spain to recount his adventures. With royal approval and funding, he set forth in 1493 with a fleet of 17 ships and retraced his earlier voyage. This time he explored Puerto Rico and the Leeward Islands, founded a colony on Hispaniola. He did not find any spices, nor gold in great quantities, but returned again to Spain. He made his third journey to the New World in 1498, where he explored the coast of Venezuela and was awed by the sweet water of the Orinoco where it flowed into the Atlantic. For his efforts, Columbus was made admiral and Governor General of the new colonies until he was sent back to Spain in disgrace in 1500. He overcame that humiliation sufficiently to make a fourth and final voyage in 1502, landing in Costa Rica. When he died in 1506, Columbus was dishonored and all but forgotten. Whether he should be celebrated as the man who opened Central and South America to exploration and colonization, or excoriated for the same thing is a continuing debate. Christopher Columbus and Columbus Day are reviled in places because he is blamed for bringing the evils of slavery, the ​encomienda system and the diseases of Europe to Latin America. He was avaricious, cruel and paved the way for the conquista. Now, 500 plus years later, we recall his deeds and celebrate not Columbus the man, but the actions and influences of all the people who came after him, who melded their European culture with the indigenous cultures and, with difficulty, blood and years of battle, misunderstandings and treachery, have created the multi-cultural, multi-ethnic society we now celebrate with the Día de la Raza. Note: It was up to others to name the places where he had landed or to discover the route to China. Amerigo Vespucci named Venezuela afer his native Venice, and Vasco da Gama sailed round the Cape of Good Hope and the Indian Ocean to the Far East, opening the Spice Route for Portugal.